We have heard comments that our cultures and traditions are old-fashioned; they hold back progress in nation building and that we should completely forget about them and adopt new ways of life. Some say they are ‘dirty’ and ‘primitive’. They are perceived as negative by the new generation. Adding on all these claims, a report by the Pacific Women Against Violence (Volume 1, Issue 10) stated that Pacific Islands cultures and unequal relationship between men and women contribute largely to violence against women in the region. But the report then challenges its own findings that domestic violence is an international problem that is thriving locally – not alone grown by Melanesian way of life. Many of us do not agree with all these comments because some of us are living examples of what our cultures and traditions did for us when we were young. They helped us develop and mould our attitudes and characters to be productive, useful, purposely and progressive lives. Many of us reject immoral living and corruption, laziness and conning. Hunger for wealth, power and glory are unknown in our cultural and traditional ways of life. This is complemented by a jewel of thought coined by Thomas Burke: “I wish it would possible for every child to spend its first 10 years close to the soil, tracing the cultures and traditions. If I had had children of my own I would, at any convenience to myself, have moved to the country – in the village just enough to grasp the atmosphere of the practices of the cultures and traditions, and not alone for considerations of their physical health. I would have them brought up in the country so that for the rest of their lives they should have had a mental background of the fields and trees and wide skies and the smell of the earth and the riches of cultures and traditions. Upon this basic culture all that they might later acquire would, I know, have grown more readily and more richly than it grows in the town child. The town child has no roots. He has quick brains, sharp moments, keen understanding of men; but he is an unfinished product. “To have no cultural and traditional and country background to your memories is equal to having no education. Lover of town as I am, I realise that I owe a dept to my early country life. Again and again, in hours of disquiet, I have gone back in spirit to those country days of childhood, and have always found something in recollected smell of the earth and picture of my old village to rest upon”. The Papua New Guinea’s rich traditional cultures and indigenous systems may be lost if not regularly and with passionate practiced, properly recorded and preserved, and proudly and widely promoted. The young generation today need to practice the rich cultures of the country so that they are preserved for the future generations. Our traditions and cultures will be lost if they are not passed on. Papua New Guinea has very unique cultures and ways of life, but these were at high risk with western influence. The blending of one culture with another also had the potential of killing off cultures. The challenge is to preserve our cultures by practicing and making them part of our lives. We must make an effort to sustain our cultures and not to depend on others. We now find ourselves caught in between two contemporary cultures – the traditional and the western culture. 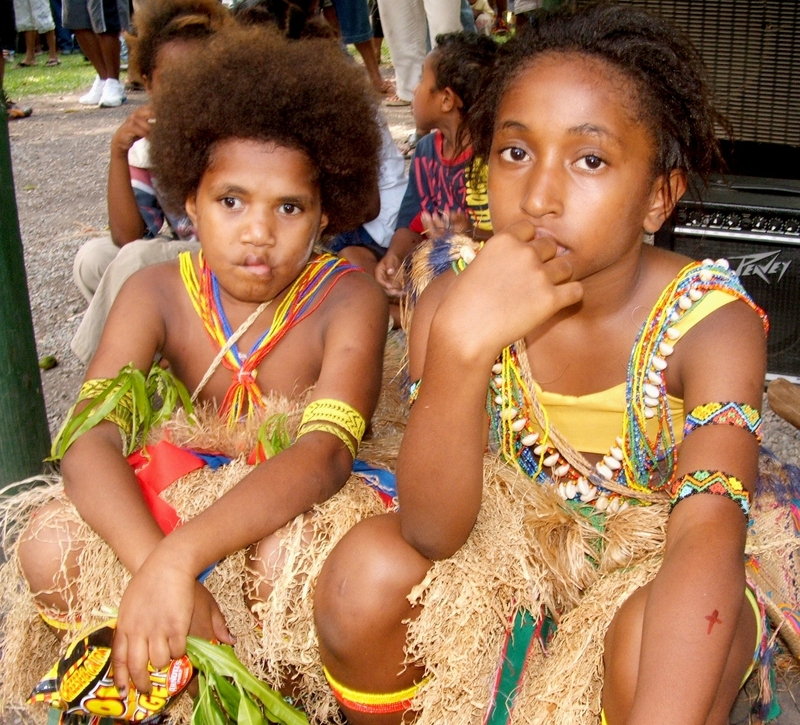 Most young Papua New Guineans today find it difficult to accept both cultures. And the odds are that they will neglect the traditional ones in favour of the western. Many of us think that those who neglect the traditional cultures have no roots or trace of their origin. “During World War II, for instance, over six million Jews were killed through gas chambers, bombs, guns, etc. But were the Jews erased from the face of the earth? The answer is No. And they will never be flushed, annihilated or washed off as long as they keep their skullcaps and long flowing gowns. It is only when you don’t see a trace of their culture anywhere anymore, which they stop to exist. So if we do not feed our children with our Melanesian cultures and traditions, teach them our languages, our dances, our folklore and songs, our fashion, indeed the totality of our Melanesian life style, our future will lose its identity and we may begin to wonder if we are Australians, Indonesians or just a nation of shadows blending into shapes and dark patches. Many of our children today cannot speak their mother tongue, neither can they know where they come from. I quote Mathew Yakai in what he wrote while studying in Japan to Sir Paulias Matane on the subject of “Culture, Tradition is my identify” in the Times Traveler Column in The National newspaper that most of our young people are moving away from our Melanesian cultures and traditions. Mathew wrote, “Most of the young people are unable to speak their mother tongues. They do not even know their origins. When I was at the University of Papua New Guinea (UPNG), I asked a small boy of mixed Tari and Ialibu parentage living at Morata about his original village. He said that he was from Morata! That gives me an indication of how parents bring up their children. “On another occasion, while at UPNG, I shared a dining with a Motu girl. The lunch was rice, kaukau and fried chicken with lettuce. When I tried to give her some pieces of kaukau, she refused saying she do not eat local or traditional food! “Here in Japan, I am trying my best to improve Japanese and English. One reason for doing this is that I believe that I will be an asset to Papua New Guinea in trade negotiations. The more I learn these things, the more I move away from my cultures, languages and family ties. Having traveled to several countries in Asia like South Korea, China and Japan itself, I found people in these countries treasure their cultures and traditional values”. The state of recording and preservation of Papua New Guinea’s rich and diverse cultural heritage is shocking and ‘absolutely shameful’. Funds and interest have dwindled over the 30 years. Don Niles of Institute of PNG Studies said that AID donors and development partners must learn that the maintenance of traditional cultures and indigenous knowledge surely represents Papua New Guinea’s unique contributions to the world. It is just as essential as building road or health centres. And that is more important than many other activities that seems to be trapped financially. Our culture is important to the future of our children and to our nation, because culture ensures a history, a past, present and certainly a future. “It is therefore important, and absolutely necessary, to hand down such an important birthright and inheritance to an informed and prepared generation. The future of this nation lies in the hands of our children. They are our future! And they must carry our identity. They deserve to be cared for, directed aright, nurtured, and cultured, and prepared ready for the future of this nation. “By the way, what is culture? And why is it important? Culture has been defined generally as the totality of the way of life evolved by a people in their attempts to meet the challenges of living in their environment which gives order and meaning to their social, political, economic, aesthetic and religious norms and modes of organisation, thus distinguishing a people form their neighbours. Culture should not be interpreted merely as a return to the customs of the past. It embodies the attitude of a people to the future of their traditional values faced with the demands of modern technology, which is an essential factory of development and progress. “A cultural policy is very important in order to incorporate such an essential part of our history into our general national development process, because culture, as a force, has both its own economic and political consequences in the life of any nation. The simple meaning to the importance of culture is that without culture, a national is as good as extinct, erased from the surface of the earth, blotted out and, an existence without dignity or recognition. The only way to wipe out a people from the face of the earth is to take away their culture. Increasingly, recognition of indigenous people’s intellectual properties has a usefulness which could be developed into lucrative commodities. For example, this could be in the area of traditional medicine. Many thanks to the National Executive Council (NEC) for recently approving a national policy on traditional medicine for Papua New Guinea which the Health Department has been directed to monitor the implementation and coordination of the policy nationwide and build a national database on traditional herbs and its practitioners. In this break-through initiative, the Department of Attorney General and Justice has been directed to look into issues of owners’ rights, a compensation regime under the existing legislation and to review the Medicine and Cosmic Act, the Copyright Act and the Intellectual Property Rights Act for the incorporation of traditional medicines immediately.